للمسافرين الذين يرغبون أن يعيشو كل ما تقدمه كرادل ماونتاين, بيبرز كرادل ماونتن لودج هو الخيار الأمثل. يجذب هذا الفندق ذو 4.5 نجوم، والذي يبعد 80.Km فقط عن وسط المدينة و 154.Km عن المطار، الكثير من الزوار سنوياً. يوفر الفندق بفضل موقعة الجيد وصولاً سهلاً إلى أهم معالم المدينة.
. إن الخدمات الممتازة وحسن الضيافة العالي في بيبرز كرادل ماونتن لودج تجعل إقامتك تجربة لا تنسى. تتضمن الميزات الرئيسية في هذا الفندق: مرافق مخصصة لذوي الاحتياجات الخاصة, واي فاي في المناطق العامة, صف السيارات, رعاية أطفال, غرفة عائلية. في الفندق غرف نوم يتجاوز عددها 86، كلها مجهزة بعناية وجمال وبعضها مزود بـ سجاد, تلفزيون بشاشة مسطحة, حوض الاسترخاء, غرف لغير المدخنين, تدفئة. يمكنك طلب اللائحة الكاملة للخدمات في الفندق ومن بينها ساونا, مسار جولف - ضمن 3 كم, سبا, تدليك, غرفة بخار. يشكل بيبرز كرادل ماونتن لودج بخدماته الراقية وموقعه الممتاز، قاعدة مثالية للاستمتاع بإقامتك في كرادل ماونتاين. يجب على الضيوف حجز وجباتهم مسبقاً و إما لن يتم تقديم أي وجبة. يمكن الوصول إلى العقار عبر الطرق الريفية، التي غالبًا ما تتعرّض للفيضانات و/أو الثلج. للحصول على أحدث المعلومات عن الطرق المغلقة، يُرجى التواصل مع شرطة "تسمانيا" أو الاطلاع على الموقع الإلكتروني لمجلس "كينتيش". لطرح أي استفسارات أخرى، يُرجى الاتصال بالعقار مباشرةً. خدمة الهاتف المحمول غير متسقة؛ إذ إن "تلسترا" هي مزود الخدمة الوحيد الذي يوفر شبكة في المنطقة. كما أن الواي فاي غير متوفر بسبب مشاكل تتعلق بالإرسال إلى الكبائن. يعرض مبنى اللودج الرئيسي الذي يفتح في تمام الساعة 7 صباحًا خدمة واي فاي مجانية. يتوافر التلفزيون في "ذا تافيرن" الذي يفتح في تمام الساعة 11:30 صباحًا يوميًا. 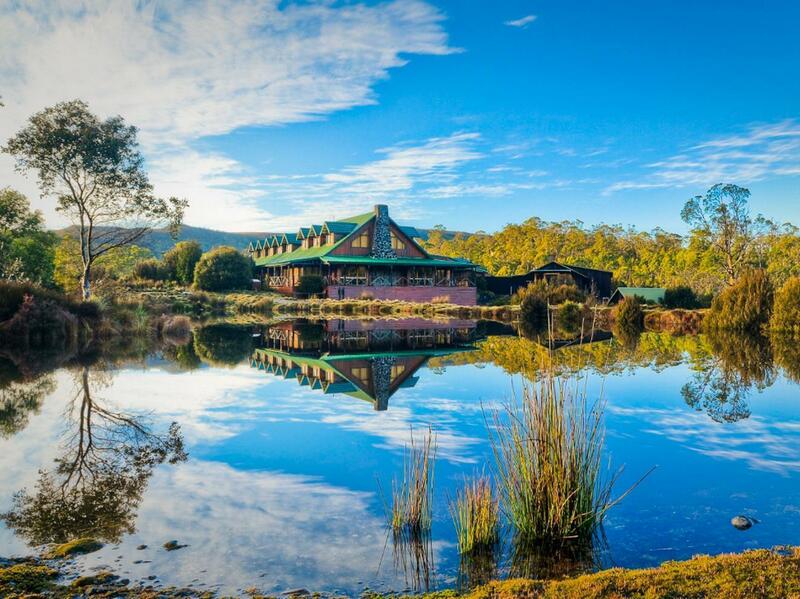 Located about 2+ hours drive away from Launceston or 4 hours from Hobart, cradle mountain offers a quiet retreat, and Peppers did just that: be prepared not to have wifi in the rooms, intermittent telco connection (but there will be wifi connectivity in the lounge area) for those who cannot live without data! We stayed in the pencil pine cabin for 2 nights, and parking is available just outside the cabin. The first afternoon we had visitor: wallaby! The cabin is also located walks, suitable for children. Room was quiet and clean, with a gas heater (fireplace) to warm up the room up to individual’s preference. The hotel even provided us with a surprise bottle of wine (as we were celebrating our honeymoon!) - that’s a nice touch! The only additional feedback I will provide: the 2 washers (located in another cabin nearby) wasn’t functioning though the dryers were. Overall, a good stay! Clean and tidy. Was lucky to upgrade to a spa room. There is a large firewood heater in room and get really hot at night. Really a break from city life and able to see wallaby outside our house. Check out policy is rather strict and we got fined for our late. This is a lovely environment and our romm have wood fire which made you feel warm even it is cold outdoor, also wallibies stayed in my balacony to welcome my stay. Restaurant served nice food. Recommend to stay if you plan to visit the national park. Not many options at Cradle Mountain. Overall the accommodation is good. Due to the location, there was no wifi and TV, so not much to do at night. We had dinner and breakfast there. The dinner was lovely and delicious. 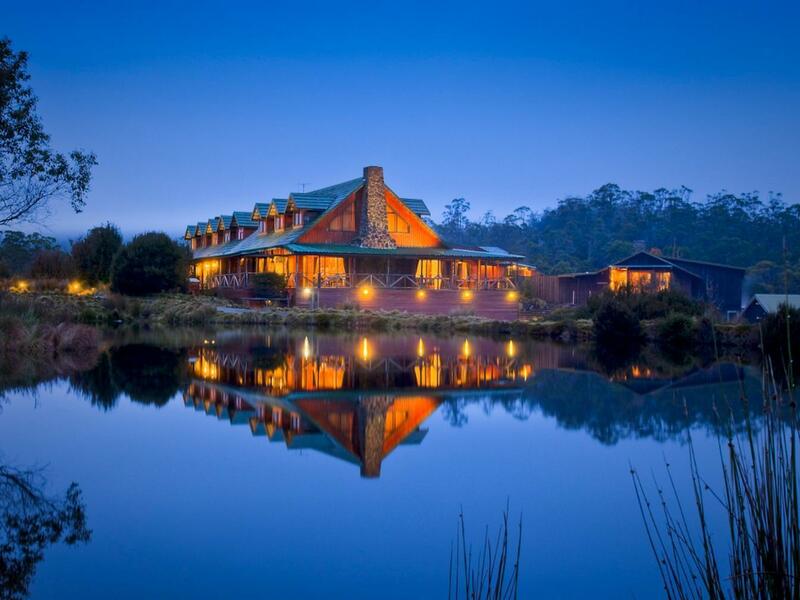 This is my second time staying in Cradle Mountain Lodge. 99% satisfaction. Prime location in close proximity to National Park, wildlife everywhere, pademelons and their joeys and currawong came visiting us in the cabin. Complimentary hampers with loads of goodies and free pot wine to keep you loaded, lots of fun with the cabin fire furnace, and many hikes from mild to challenging to choose. The only very minor minus is that the CD player is pretty worn down and wasn’t working well. Luckily I brought my Bose Bluetooth speaker. Nevertheless, you don’t need speaker at all as the symphony of nature will give you lots of fun. Stunning location, perfect for a tech detox dropped in amongst the wilderness. Expensive accomodation, hefty surcharges for visa and amex. Would have liked to test out the stereo and relaxation mix in the room but it didn’t work. Overall, was a nice stay, included breakfast was the best we’d had during our trip to Tassie. When I booked thru Agoda I selected twin bed room and got confirmed. I appreciated the hotel sent me email advising they didn’t have twin bed room available. Otherwise there would have been an argument at check in. Received complementary upgrade which was nice. The spa suite was reasonably sized and definitely large enough for family of 3. The room was equipped with basic necessities except for microwave that would have been handy. There are plenty of room for storage. The bathroom was large and fitted with a spa bathtub that has soon become the centre of activity. The fireplace was a sweet addition to the room and an essential necessity for cold May weather. 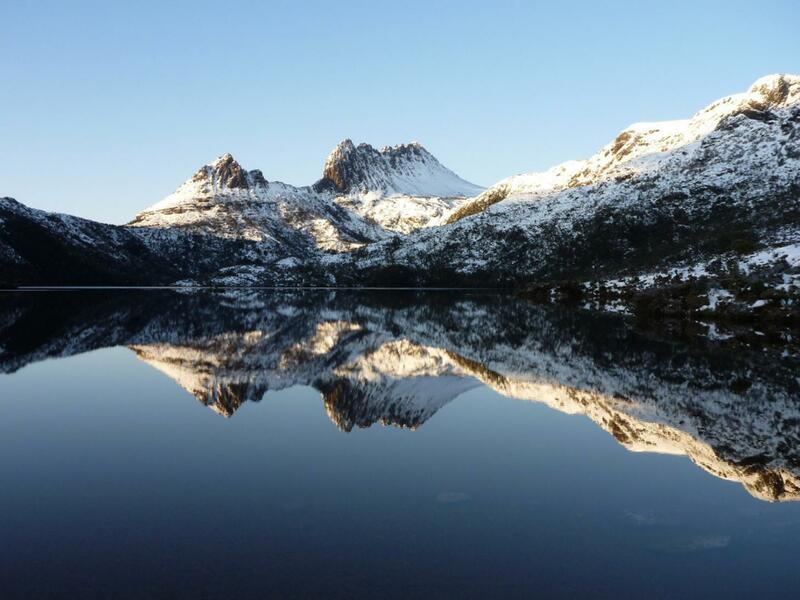 Location was strategic for cradle mountain national park. There are two restaurants; highlander and bistro and tavern. The food was great except for the price. Overall, nice experience and will definitely book to stay here again. 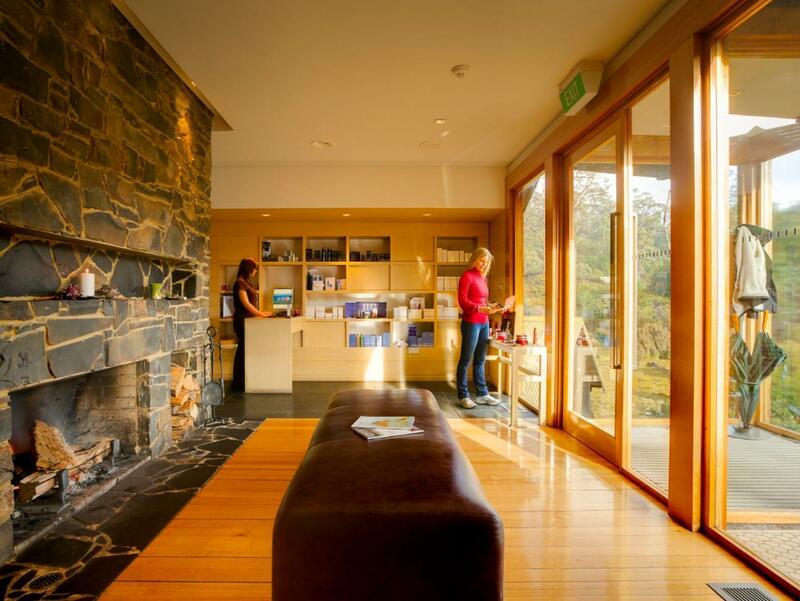 This accommodation was a little too expensive but within close proximity to the national park which made it very accessible especially when we went to Dove Lake at night for the night sky and southern lights. It was also very comfortable and gave us a chance to be away from the internet in our room and to have the time all to ourselves. I also particularly like the lodge's fireplace which kept us so warm automatically. Our baby moon before our little one came along. Comtemplated whether to pay such a high price for each night. But decided to just splurge and it was totally worth it. Must stay when you are at Cradle. Alot of walks pass through Cradle but we didnt walk much due to my wife's condition. No TV in the room for one thing cos they want you to immerse in nature. Spa was great. Very good and relax. All the staffs were friendly and provide good services. Lots of entertainment provided and good food. Located was great and get to see lots of wild animals around and experienced snowing. The location was awesome for us as we were heading to the National park - literally just 10mins drive away from the hotel. The room was spacious and clean. No signal (hence no TV and wifi) make sure to bring a book or something to keep yourself entertained :) The breakfast selection was so-so. Absolutely the best in the mountain lodge that we have been to. So many wildlife that we saw during our stay and some we even need to google for their names! 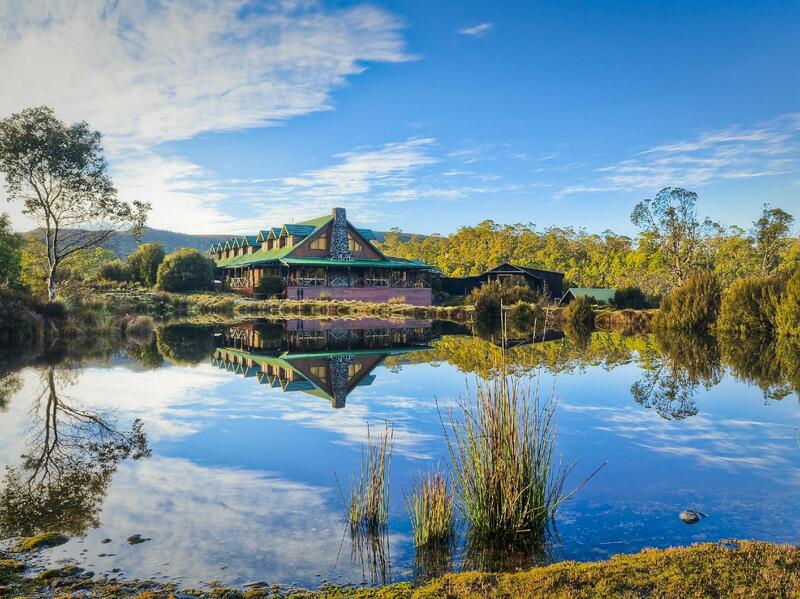 Make sure you plan this place in for your trip to Tasmania. Very good location for for most of the walks. 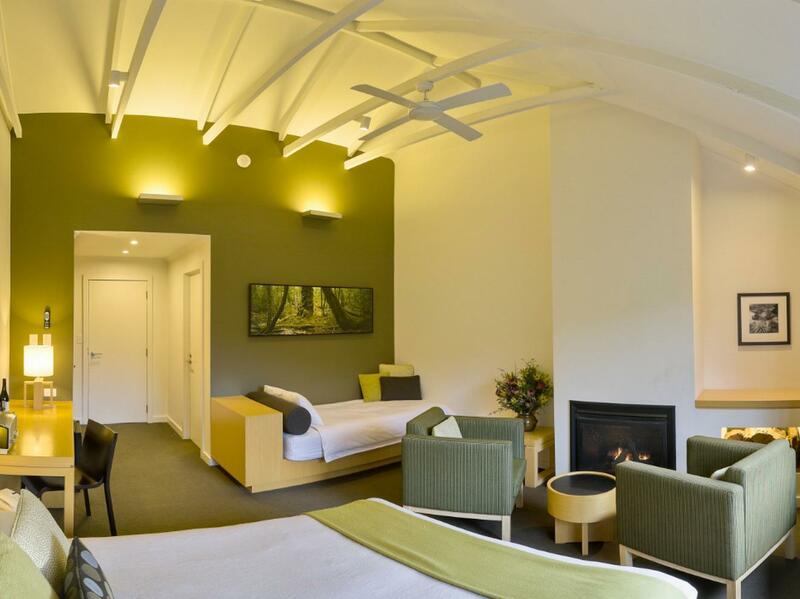 Room is clean and modern with ‘fireplace’ to warm your room. Such nice place to stay, would like to stay here longer next time. Highly recommend to everyone. Very natural environment and near to Dove Lake too.. Cabin was awesome.. cosy and so good to chill and relax sitting by the fireplace.